We in the Diocese of Rockville Centre make up the Roman Catholic Church on Long Island. As a sacramental community, we are one with the Catholic Church throughout the world, while here at home we are united under our Diocesan Bishop, Bishop John O. Barres to live the Gospel of Jesus Christ as one family of faith and to celebrate this life in our liturgy, sacraments, prayer and service. 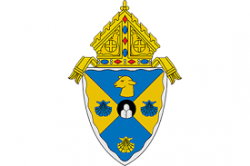 Formed from the Diocese of Brooklyn in 1957, the Diocese of Rockville Centre (www.drvc.org) by reason of population, is the eighth largest diocese (inclusive of archdioceses) in the United States. Total Catholic population in the Diocese is 1,455,644*. Total population in the Diocese of Rockville Centre is 2,908,917. The single largest outreach to the People of God on Long Island is through its media outlets. Telecare, the diocesan television station broadcasts 24/7/365 to over 1.5 million homes; The Long Island Catholic Magazine, the official diocesan print publication is mailed 10 times per year to over 17,000 subscribers; the weekly LICatholic E-newsletter is emailed to 8,000 recipients. The diocesan website drvc.org averages approximately 18,000 unique visitors each month; Fe Fuerza Vida, the official Diocesan Spanish-language newspaper has a circulation of 11,000 and is printed ten times each year. The Roman Catholic Church on Long Island is comprised of 133 parishes (plus one campus parish) in 115 towns as well as the Diocesan corporation, housed at the Pastoral Center in Rockville Centre. The Diocese is blessed with 351 priests in active ministry: (208 incardinated, 89 externs, 54 religious), 980 religious women, 67 brothers and 292 permanent deacons are in ministry. The Diocese of Rockville Centre, with its parishes, schools and other Diocese-associated institutions is the second largest non-governmental employer on Long Island with approximately 19,800 lay employees. Catholic clergy and community provided consolation to families and loved ones of 9,880 deceased Catholics. 16,047 students in 47 Catholic elementary schools (14,691 students in 43 parish or regional schools and 1,356 students in 4 private schools). 11,470 students educated in 10 Catholic high schools (4013 students in 3 diocesan and 2 parish schools and 7,465 students in 5 private schools) by over 1,800 dedicated educators inclusive of clergy, Brothers, Sisters and the laity. 99 percent of our Catholic high school graduates go on to college. One Catholic College – Molloy College with 4400 undergraduate and graduate students. We are a Diocese with over 12,000 parish catechists educating approximately 102,353 elementary and high school students in religious education. Total number of students under Catholic instruction: 134,360. 12 Diocesan seminarians in formation. Hundreds of thousands are brought to a closer relationship with God through the work of the ministries of the office of new evangelization, including: Ministry to Catholics of African Ancestry, Haitian-American Apostolate, Hispanic Ministry, the Diocesan Mission in the Dominican Republic, Renewal, Youth, Young Adult and Campus ministries, the Pontifical Mission Society and Catholic Scouting. Through the ongoing efforts of pastoral staff and volunteers, we prepare engaged couples for marriage and parents for the Baptism of their children. We work for the inclusion of persons with special needs in faith formation and parish life. Parish and diocesan programs provide ongoing formation in the faith for our adult members. In 2015, Catholic Charities provided more than one million caring, face-to-face services to more than 60,000 people of every faith and background. Catholic Health Services of Long Island (CHSLI) comprises six hospitals, three skilled nursing home facilities, a home nursing service, hospice network and a community-based agency serving individuals with special needs. It is staffed by approximately 17,000 employees, more than 4,600 medical staff and 3,000 volunteers. More than 3,431 interments were performed in 3 Diocesan and 20 parish cemeteries. 68 parishes offer bereavement support groups and programs for the bereaved (37 in Nassau County, 31 in Suffolk County).